Matthew Macdonald and his wife, Lou – along with their three young sons – set up New Macdonalds Farm on 15 acres in Box, Wiltshire in 2009. Having built up a healthy customer base of farm shops and restaurants, they decided to start their journey to organic certification in 2017. Ellen Hardy finds out about their journey to organic certification. Matthew is a carpenter by trade, but after a stint helping out on a dairy farm he became addicted to the agricultural life – so when he and Lou had the chance to buy some land, they jumped at it. After experimenting with Dexters for beef, the area’s high TB prevalence convinced them to focus purely on pigs and poultry, and they now have around 500 layer hens, with organic turkeys to follow as their next undertaking. Their target market is very much the top end of the scale. “Our eggs aren’t cheap,” Matthew continues. 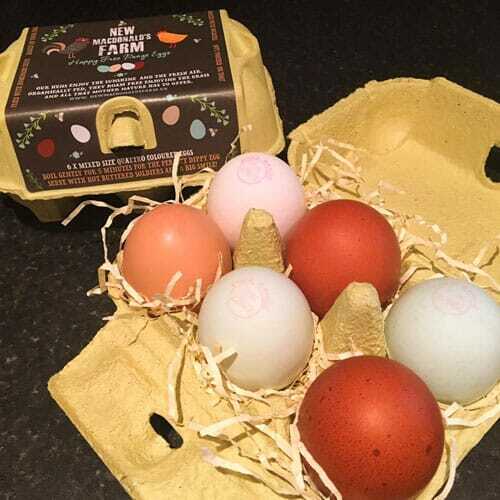 “We sell them for £2.70 to £3 a box, and the trays for farm shops are £10. Any restaurants we take on – and they tend to get the less pretty eggs, but obviously the same quality – we charge them £9. So probably almost double what most commercial producers will charge.” The high-welfare, locally-sourced, ethically-impeccable eggs are clearly a big hit with those businesses prepared to pay the extra. “A lot of farmers are realising there’s money in it,” grins Matthew. For the time being, the New Macdonalds label only reads “organic fed”, but as of 2017 Matthew and Lou have contacted the Soil Association to begin the two-year process of official organic certification. Of the nine organisations qualified to certify organic status in the UK (you can find the full list on the Defra website), they chose the Soil Association thanks to positive word of mouth. This article was originally published in the March 2017 edition of The Poultry Site Digital. For more, read other articles from the issue by clicking here.